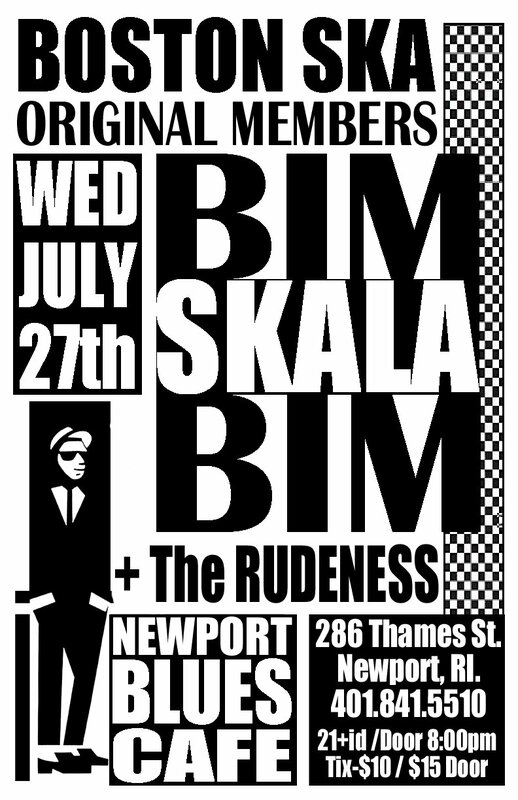 Boston's Bim Skala Bim have announced a series of shows around New England in late July. These shows will be their first since they played the London International Ska Festival back in April and their first in the U.S. since four shows they played at the same venues last summer. Its been announced that these shows will feature all of the original members of the band plus a number of special guests. 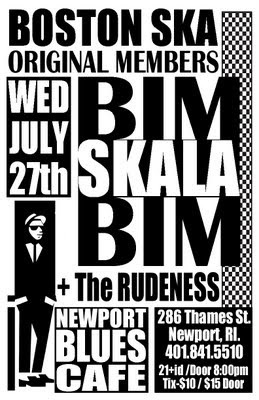 Bim Skala Bim and The Toasters (from New York) both formed in the summer of 1983, apparently within about a month of each other and have the distinction (along with The Untouchables from Los Angeles and Heavy Manners from Chicago) of helping to create and build a thriving American ska scene in the 1980's. The band were influenced by the 2-Tone, as well as bands such as The Clash, UB40 and Bob Marley. They released several albums over the course of their career and they started their own record label to release music by other ska bands. Any word on the 'special guests' lined up or opening acts? Not that Bim in and of itself isn't a reason to go, but just curious so I can possibly choose one show over another. I believe it may be a mix of original members of the band as well as musicians who played with played with Dan Vitale in Steady Earnest. Ahh good to know. Looks like I'll only be able to make the Somerville show, either super excited!